Yesterday at mass we had a large group of pilgrims; one of the largest yet. After the Gospel, Tomas walked towards us and asked if he could join. He is in his 68th year, with Parkinson's disease and walking from St. Jean Pied du Port to Lyon with his son. Before I give the rest of their story there is a pre-Camino story to be told. Yesterday after mass they asked where I was walking to. I told them Itero de la Vega, which was 21km away. Today when Chris, Sarah and I arrived, they wanted to press on another 9Km but I did not have it in me. I told them to go on and that I would have a quiet day and recoup from our long walks over the last two days. We said goodbye, I checked into an Albergue and got a room by myself for the first time in thirteen days. I took a bath and had a long sleep. When I opened my door, Thomas and Tommy were in the next room. They’d pushed themselves to arrive in this town, went to the other two Albergues and did not see me, so therefore checked in. We celebrated mass together at 6:00 pm as is now the custom. We were all overjoyed to see each other and could not believe how God's providence worked on this day. Thomas is a self-made man, a lawyer with a great practice. Earlier in life he was an Augustinian seminarian, but that was not his vocation. He came down with Parkinson's disease about fourteen years ago, but this has not stopped him. At his son's invitation, six years ago they’d walked together from Lyon to Santiago. It was a great time of father and son bonding. They’d finished that stage of the journey. During that Camino the Parkinson’s went into remission. Thomas was the best he had ever been and even his enemies could not say that he had the disease. Based on this past Camino miracle, dad read, researched, and dreamed about completing the current Camino by walking from the beginning. Tommy agreed and here they are. On their first day, remember that grilling day I spoke about 25Km rising to 1200 M and then a very steep descend? Well it took them 15 hours to complete that climb. They arrived in Roncesvalles in the dark after 10 pm. Thomas fell five times that day. In the end Tommy left him in the woods, ran down to drop off the bags and get a place to stay and went back up to find his father in the dark and walk him down. At the end of that day I was totally exhausted. I cannot imagine anyone going through this ordeal. Several times during the day pilgrims stopped and walked with them and then went on their way. Because they were so behind they were the last pilgrims on the trail that day. This is courage and extreme determinism at its best. They have completed 334Km to date, a remarkable feat. Today there was a very steep mountain to climb, it wiped Thomas out. He has a battery in him to assist with the motor actions because of the Parkinson's. Yet he was determined to walk the 21K to arrive in this town today. It was the hottest day on the Camino. At 10 am, it was already very hot for me to walk. One of the reasons I stayed back was because of the heat. They arrived at 2:30 pm, the hottest time of the day and totally exhausted. But tomorrow they will go again and see how far they can progress with the time they still have on Camino. Today, it was the Feast of St. Thomas Moore, a man of courage and conviction and determination. There was just the three of us and we spoke about the Saint and the Father and Son and their deep connection to each other. The Camino cannot be had on our terms; it can only be had on its own terms. This is something Tommy is grappling with deeply. He had hoped that it would be a repeat of the previous miracle and a continuation of the first Camino. This one is different. Passion and patience come from the same Latin root. During Christ's Passion he was totally cared for and everything was done for him. This is the significance of the last stage of life. It is a healing because it is a letting go. Tommy realizes that this is not his Camino and it is not the first one they walked together. This has been a painful realization that has taken much soul searching. Why do people walk the Camino? Tommy is walking for his dad, so that he can complete his dream while he still can. In the process he is being transformed. Thomas is walking because he wanted a repeat of the first experience - the miracle. The Camino is inviting him to let go and accept both it and God on God's terms. This is not an easy journey for them or for us. Both of them are a witness of unconditional love - No greater love does anyone have but to lay down their life for their friends. This father and son are indeed friends. This form of friendship is never easy. Vulnerability and letting go continues to be essential to their Camino. 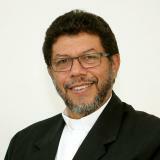 Bishop Jason Gordon is the Bishop of the Diocese of Bridgetown.